iTunes 9.0.2 is out! Apple has announced the availability of iTunes 9.0.2 for both Windows and Mac. 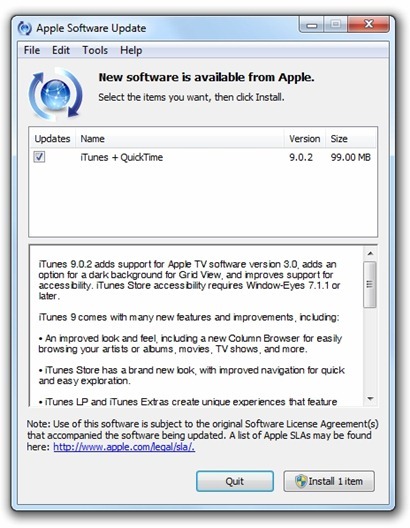 The most significant change that iTunes 9.0.2 brings is the added support for the new Apple TV software version 3.0. Other changes includes a fresh new look to both the iTunes software and store, option to choose individual artists, genres, TV shows and Podcasts when syncing, and various other bug fixes. Note for Jailbreakers: Those of you who are using jailbroken iPhone and iPod touch can safely upgrade to iTunes 9.0.2 without having to worry about bricking your iPhone.